Okay,I hatched these 2 babs a few days ago with my progens. [url=http://flightrising.com/main.php?dragon=46085222] [img]http://flightrising.com/rendern/350/460853/46085222_350.png[/img] [/url] And [url=http://flightrising.com/main.php?dragon=46085223] [img]http://flightrising.com/rendern/350/460853/46085223_350.png[/img] [/url] Well,when I saw them I was like...Ok I'm going to make the 2nd one fodder and work on my first one! Then I was like...I should keep them because they are the only progen offspring I have...the last 3 were sold or exalted... So I tried to find scries for them and I thought the 2nd one was hopeless. I planned to exalt him. I kept him for a while and when I looked at that 2nd derg's scry, I cringed at his colours...but suddenly I sorta fell in love with it? And now looking at the first one, his colours look boring and I feel like exalting him...um... It looks like 2 siblings are fighting to get my attention. Okay,I hatched these 2 babs a few days ago with my progens. Well,when I saw them I was like...Ok I'm going to make the 2nd one fodder and work on my first one! So I tried to find scries for them and I thought the 2nd one was hopeless. I planned to exalt him. 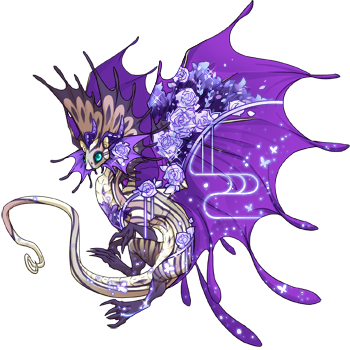 I kept him for a while and when I looked at that 2nd derg's scry, I cringed at his colours...but suddenly I sorta fell in love with it? It looks like 2 siblings are fighting to get my attention. [quote name="GrowLegends" date="2018-10-20 18:09:33" ] It looks like 2 siblings are fighting to get my attention. [/quote] Annnnnnd your lore's written for you. Annnnnnd your lore's written for you. [img]http://flightrising.com/dgen/preview/dragon?age=1&body=97&bodygene=22&breed=4&element=5&eyetype=0&gender=0&tert=147&tertgene=10&winggene=24&wings=114&auth=0b3eab5954b11940e5976fd29d6bc287afab971d&dummyext=prev.png[/img] [img]http://flightrising.com/dgen/preview/dragon?age=1&body=169&bodygene=21&breed=12&element=5&eyetype=8&gender=0&tert=33&tertgene=18&winggene=22&wings=18&auth=7b6cb306a10d787135ed4d421f509e405585771f&dummyext=prev.png[/img] [font=calibri]They're both nice, though I think I prefer the first a little more since he matches better! They're both nice, though I think I prefer the first a little more since he matches better! They are both good I love it! How much would you offer for him? I'll see how things turn out first!